During the summer of 2001, the Historic American Buildings Survey (HABS) and the Maryland Historical Trust, in coordination with the City of Baltimore’s Commission for Historical and Architectural Preservation (CHAP) and Preservation Maryland, recorded ten historic buildings and sites within Baltimore’s Central Business District through large-format photography and original historical research. The heart of the downtown area and focus of intensive redevelopment efforts, Baltimore’s Central Business District is a designated city historic district and home to a diverse array of historic commercial and civic buildings, churches, theaters and other landmarks. Many of them predate the district’s Great Fire of 1904 and chronicle Baltimore’s rise as a financial, commercial and civic center. This project, resulting in more than 150 photographs by Baltimore photographer James W. Rosenthal for HABS and ten detailed architectural histories by Laurie Ossman, PhD., also a Baltimore resident, grew out of concern about the recent loss of the Merchants & Miners Transportation Company Building at 17 Light Street and other buildings of architectural distinction in Baltimore. Ranging chronologically from the Peale Museum (1814) to the Bank of America Building (1929; formerly the Baltimore Trust Company Building), and in function from Old St. Paul’s Church (1846) to the Gayety Theatre (1906), the ten landmarks selected for this study illustrate the architectural diversity of the district and the myriad forces that have informed the district’s growth and evolution over time. The exhibit, launched at the Maryland Historical Society in May 2002 during National Historic Preservation Month, and the companion walking tour provide a glimpse into the architectural history of Baltimore’s Central Business District. It is hoped that the exhibit and brochure will encourage further exploration and preservation of Baltimore’s tremendously rich architectural heritage. Learn more here.  The Top of the World Observation Level hosts exhibit featuring artifacts from the Twin Towers, Pentagon, and Flight 93 National Memorial. 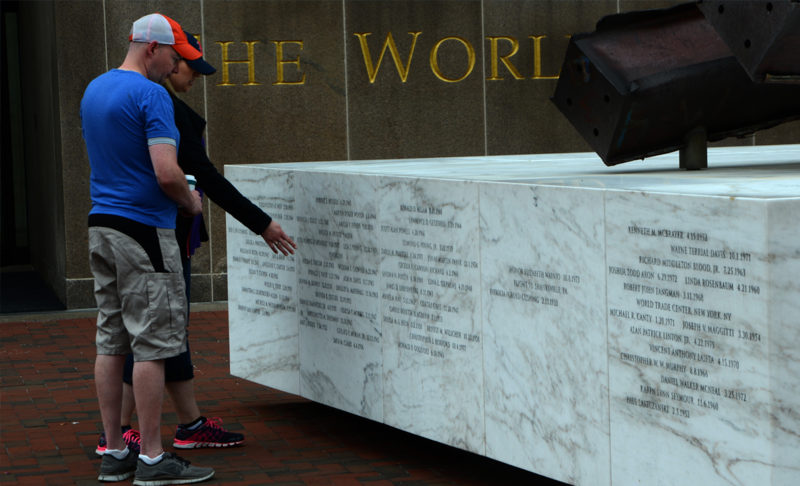 The display honors the lives of Maryland victims of the September 11, 2001 attacks.